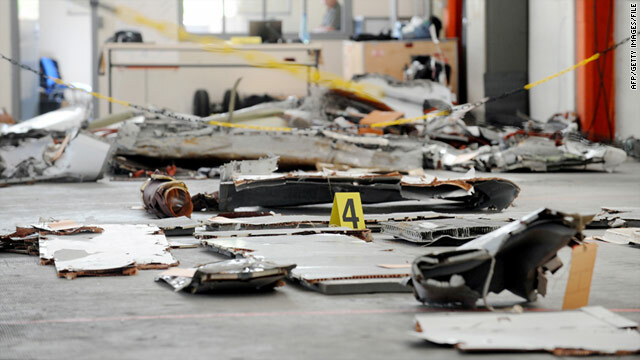 Some debris from Flight 447 was found shortly after the crash in 2009. France said more pieces of the jet have been found. Paris, France (CNN) -- French investigators said Sunday that they have found pieces of the Air France jet that crashed in the Atlantic Ocean in 2009, killing all 228 people on board. Air France Flight 447 disappeared after taking off from Rio de Janeiro on its way to Paris. France's air accident investigation agency, the BEA, said that a team -- led by the Woods Hole Oceanographic Institution -- discovered parts of the aircraft during an underwater search operation conducted within the past 24 hours. The agency did not immediately say what parts of the jet the team found. 2009: What caused Air France crash? Investigators have not yet established what caused the crash, and large parts of the plane -- including both flight recorders -- have never been located, despite an extensive search operation that included a French navy submarine. The Air France plane went down in stormy weather, and most of the bodies were never recovered. Studies of the debris and bodies that were found led the BEA to conclude the plane hit the water belly first, essentially intact. Oxygen masks were not deployed, indicating that the cabin did not depressurize, the BEA said in a 2009 report. Automated messages sent from the plane in the minutes before the crash showed there were problems measuring air speed, investigators have said, though they said that alone was not enough to cause the disaster. The area where the plane went down is far out in the Atlantic -- two to four days for ships to reach from the nearest ports in Brazil or Senegal in west Africa. The underwater terrain is rough with underwater mountains and valleys, the BEA has said.